Up until a couple of years ago, I lived a rather comfortable life. I was enrolled in the engineering program at one of the best universities in Colombia. I lived with my mother and grandmother, who always took care of all responsibilities at home, and I spent many hours a week with family and friends. I never worried about wasting time or money on transportation since I attended classes just a couple blocks away from home. Although I was grateful for all the blessings in my life, I always felt motivated to challenge myself for more. I dreamed of an opportunity that would push me to accomplish greater goals. Opportunity knocked on my door in February 2016 when my father, who lived in Miami, proposed the idea of me immigrating to the U.S. to pursue my higher education. This proposal did not only mean leaving my family behind, but it would also be a big risk because I was not proficient in English nor had any higher education opportunities secured. As far as I knew, I could be exchanging an outstanding institution at home for nothing overseas. However, there was also the potential of me attending a recognized institution in the U.S., so I challenged myself and moved in July 2016. Just as expected, my first year was the hardest and my life totally changed overnight. My responsibilities increased as well as my maturity. Academically, I enrolled in Miami Dade College’s English for Academic Purposes (EAP) program, which my adviser said I’d need over two years to complete. Psychologically, I had no friends in the city and my mom was thousands of miles away from helping me emotionally. My dad also constantly reminded me that life here was harder and that I needed to work even harder to accomplish anything. I considered quitting countless times, but instead I decided to do everything I could to succeed. With the help of my professors, I sought resources to complete the EAP program faster and connected with the Honors program on my campus. During that first year, I devoted myself to “plant” myself wherever I could in order to accomplish my goals. I understood that success comes over time, and in order to collect the fruit of my efforts, I needed to plant them first. A year after I came to the states, my first year of collecting the fruits of my efforts started. Thanks to my hard work and discipline, I finished the EAP program in May 2017 and got accepted into MDC’s Honors program. Around that time, I started receiving recognition for my academic performance and community service. 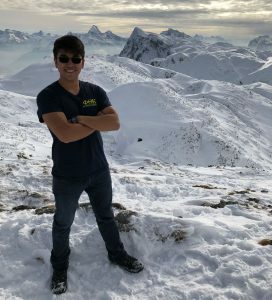 In spring 2018, the Honors College selected me to attend the Salzburg Global Citizenship Seminar in Austria where my team and I placed first and second in PBL’s national and regional competitions in Financial Analysis and Decision Making. More personal projects included receiving other recognitions like the Chancellor’s Clark Maxwell Scholar Student of the Month in Florida and the Pearson Scholarship for Higher Education. 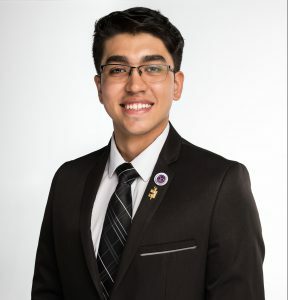 Nowadays, I serve as president of the Phi Theta Kappa honor society on campus, in which I try to give back to my community as it helped me become what I am now. 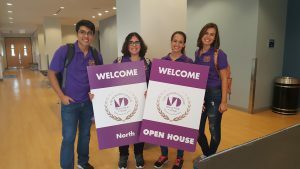 As president of this organization, I lead projects such as workshops about leadership, diversity, and financial literacy while organizing donation drives of toys and educational supplies for kids at Nicklaus Children’s Hospital. I am also working on transferring to an exceptional institution to complete my education, just as I dreamed when I left my hometown. Pearson Students: Where are you stepping out of your comfort zone? Where are you planting yourself? Share by commenting below! 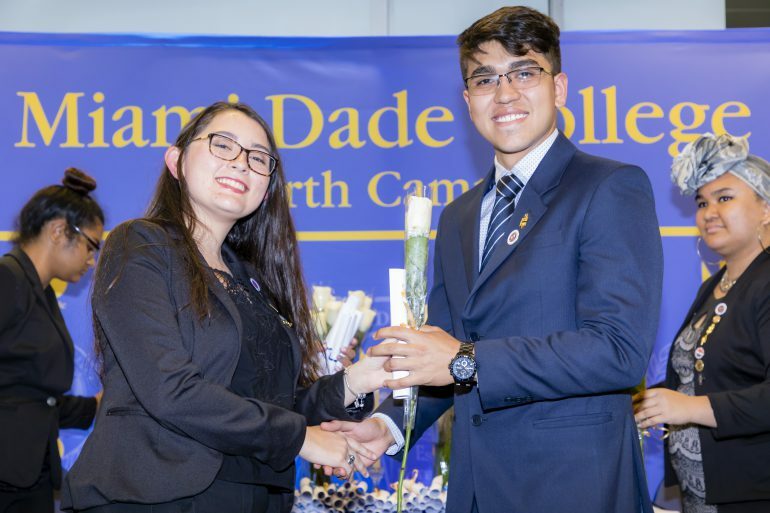 Albert Hernandez is a current student at Miami Dade Honors College, but hopes to soon transfer to the engineering program at an outstanding university. In his free time, he enjoys spending time with friends and family practicing outdoor sports. Albert is a recipient of the 2017 Pearson Scholarship for Higher Education. Albert is a contributor to the Pearson Students Blog. If you are a college student and interested in writing for us – click here to pitch your idea and get started!